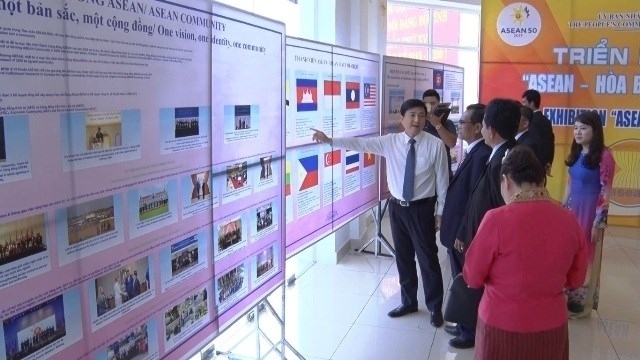 ASEAN Cultural Day took place in the northern province of Vinh Phuc on August 1 to celebrate the 50th founding anniversary of the bloc with the participation of representatives from the embassies of the ASEAN member countries in Vietnam. Vice Chairman of the provincial People’s Committee Vu Viet Van said the event offers participants a chance to learn more about special cultural values of the ASEAN member states, and hoped that it will also foster friendship and economic and cultural exchanges between Vinh Phuc and the ASEAN nations as well as build the ASEAN Community of peace, prosperity and sustainability. 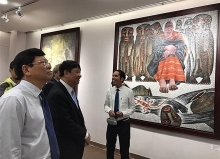 Speaking at the event, Indonesia’s Ambassador to Vietnam Ibnu Hadi said in recent years, Vinh Phuc has become an attractive destination for foreign investors from Thailand, Singapore, Malaysia and Indonesia. Indonesia is now among top 20 investors in Vietnam, with Japfa Comfeed Vietnam being one of the 500 largest enterprises in the country. The province currently records 27 projects by ASEAN investors with a total registered capital of over US$500 million. In education - training, Vinh Phuc has assisted Laos in training hundreds of tertiary and post-tertiary students. Meanwhile, Singapore and the Philippines have helped Vinh Phuc train hundreds of English teachers under the government’s project on teaching and studying foreign languages in the national education system for the 2008-2020 period. 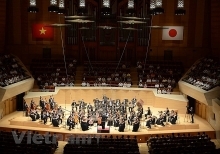 During the event, a music exchange between the ASEAN member states and an exhibition themed “ASEAN – Peace and Development” were organised.